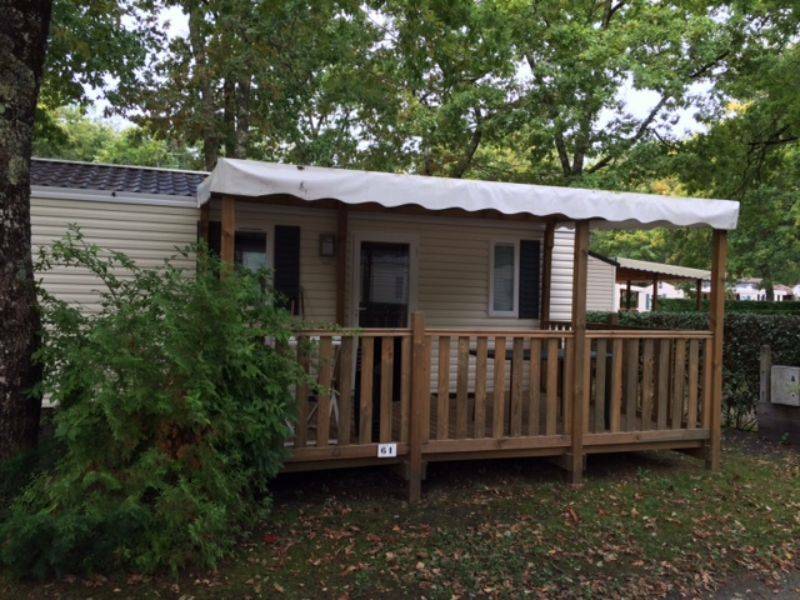 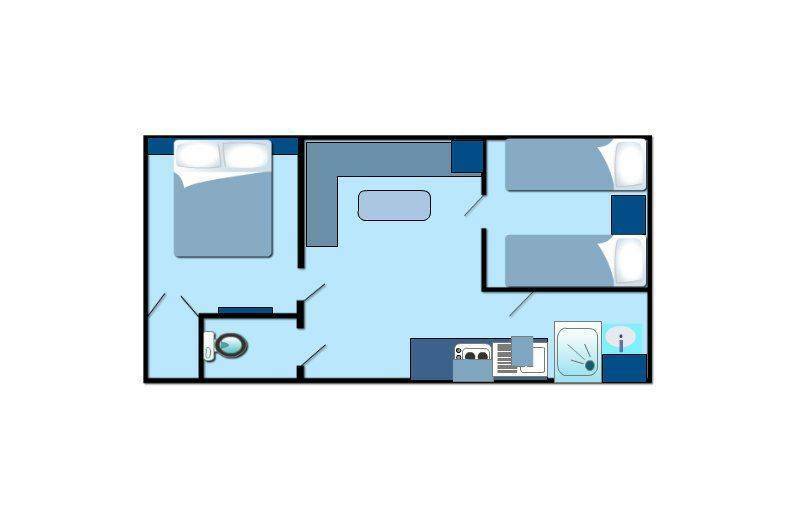 Groups of friends and families will love staying in this delightful mobile-home. 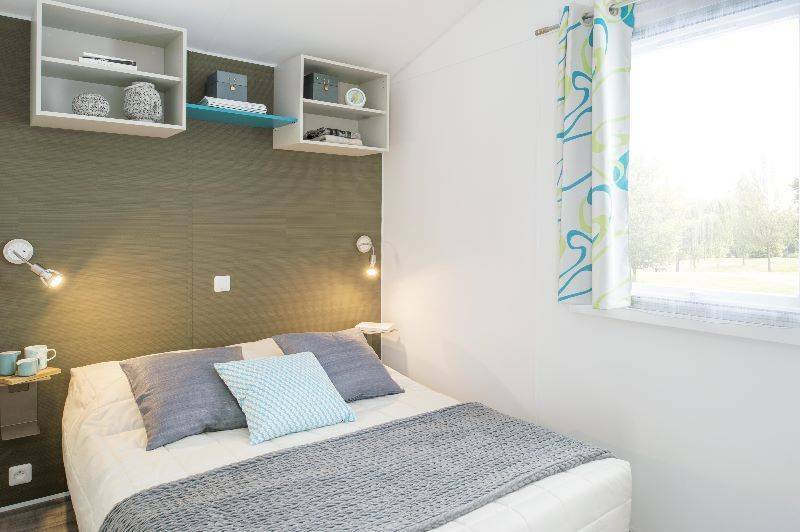 Sleeping between 4 and 5 people, it has two separate bedrooms and a wooden terrace which is perfect for al fresco meals or drinks. 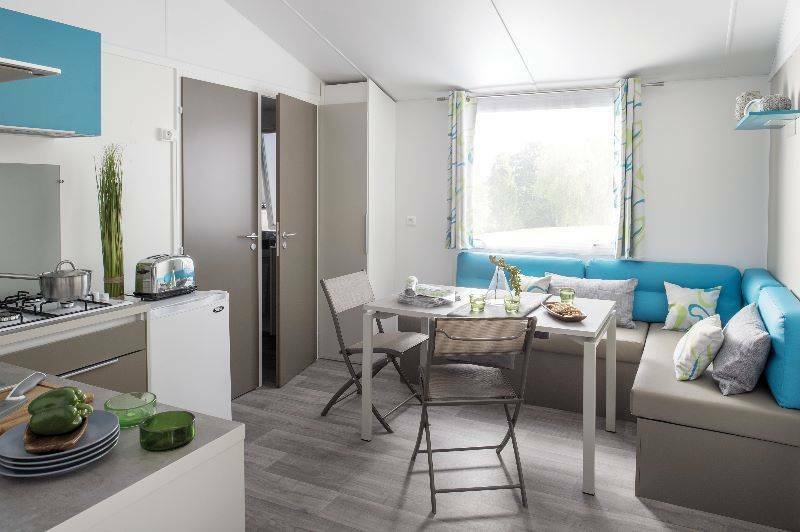 This mobile home measures 28m² and has a bathroom and toilet.